So begins a sweet rhyming story in which a group of animals recounts the events surrounding Jesus' birth in the manger, and the parts some of their ancestors played in it. This is also a counting book. The Animals' Christmas Eve by Gale Wiersum was published by Golden Books in October 2007 and is our 13621st best seller. 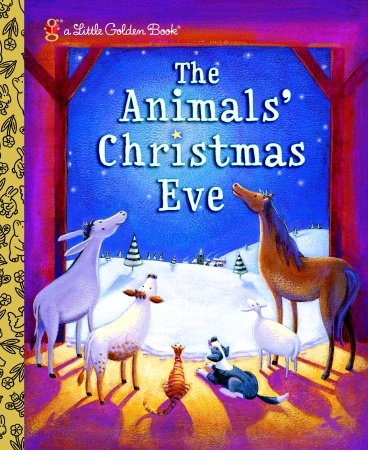 The ISBN for The Animals' Christmas Eve is 9780375839238. Be the first to review The Animals' Christmas Eve! Got a question? No problem! Just click here to ask us about The Animals' Christmas Eve.